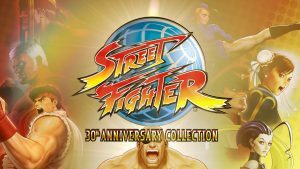 81: Street Fighter’s 30th Anniversary – with Popcorner Reviews! Street Fighter is arguably the most influential fighting game of all time. Capcom just released it’s 30th Anniversary Collection which gives DSRA the perfect excuse to explore an old favorite. We are also absolutely thrilled to be collaborating with Monica Delmonico at Popcorner Reviews for this episode. You can check out her wonderful DIY pop-up cards that she made for our colab here. She didn’t even need a hadouken to blow us away. In the episode Claire explains what exactly defines a fighting game and examines the pivotal games in the genre that came before Street Fighter. Kyle is out ‘living his best life’ in Maine so James breaks down the eccentric team that created Street Fighter II and how their attention to detail made it so special. Our hosts conclude with their thoughts on fighting games, the Street Fighter series, and their first experiences with it. On this episode, the hosts dive into the pivitol animated film from 1997. Claire is out for this one, so the wonderful (and nefarious) James Fouhey handles the History segment. Mr. Fouhey starts with an explanation of the Muromachi Period of Japan, the setting of the fictional film, and why director Hayao Miyazaki thought it was the perfect back drop to tell his complicated tale. Kyle delves into the past life and work of Hayao Miyazaki and the origin of some of the most common asthethics of his movies. Kyle also describes the complicated and grueling process of making this film, and it’s distribution in America. 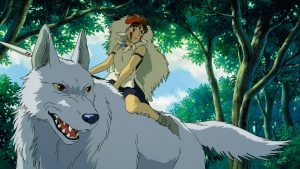 The hosts finish up with a discussion of Miyazaki’s work, how they discovered it, and some of Miyazaki’s thoughts on the nature of film and art. 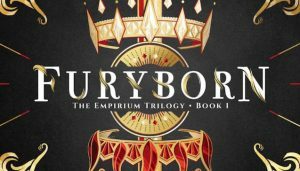 Furyborn, book one of The Empirium Trilogy, is the latest YA fantasy novel from Claire Legrand. It is a tale of elemental magic, a prophecy of two queens, and two young women who live a thousand years apart. Claire and Kyle are happy to dive in after hearing it recommended so strongly by the Unassigned Reading podcast. Kyle begins by discussing the western origins of fantasy literature and how the genre’s stories became so male dominated, before telling his own tale of two mighty queens: Ireland’s Grace O’Malley and England’s Elizabeth I. Claire then talks about Legrand’s inspiration for writing the story, her motivation for writing “unlikable” female heroes, and what Legrand hopes people take away from her book. Kyle and Claire conclude with their thoughts on the book, who would like it, and what about it makes it so YA. A fun bit of DSRA trivia: The birthdays of Claire White and Kyle Willoughby are only 5 days apart! We’ve decided to celebrate this special time by taking a break from current nerdy topics and enjoying some all-time favorites. Claire’s pick is Treasure Island, the pirate adventure tale by Robert Louis Stevens. She begins the episode by unraveling how pirates became so beloved in our popular culture and the role that Steven’s novel played in this. Kyle jumps in with a look at the life of author and what inspired him to write this oft-adapted classic. 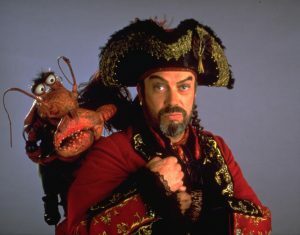 Our hosts conclude with their thoughts on not only the book, but also the 1996 film adaptation, Muppet Treasure Island. 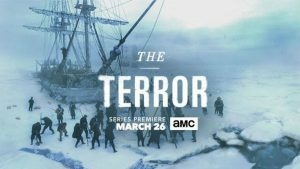 The Terror is a new series from AMC which gives a supernatural twist to the story of the doomed Arctic explorers on the Franklin expedition of 1845. Claire explains what the Northwest Passage is and why it was so sought after by the British Empire. Kyle discuses the novel by Dan Simmons which the show is based on and how show runners Dave Kajganich and Soo Hugh managed to recreate the Arctic. Our hosts conclude with their thoughts on the show, survival horror and some tips for watching. This year marks the 25th Anniversary of the collectible card game, Magic: the Gathering. Everyone here at DSRA plays MtG and we were all excited to “research” with a Dominaria Booster Draft tournament. We were also delighted to partner with The Nifty Nerd and drink some great planeswalker themed cocktails while we played. Kyle begins the episode with a look at the origin of card games and the use of them in storytelling. Claire then talks about the creation of MtG by Richard Garfield at Wizards of the Coast and explains why it was so crucial for the company at the time. Our hosts conclude with how they were introduced to Magic, how the spells you cast reflect your personality, and their experience playing in the tournament. Check out our companion piece at The Nifty Nerd!